For its restoration of the 1930s gardens at Historic New England’s Nickels-Sortwell House in Wiscasset, Maine, the Garden Club of Wiscasset is the winner of the Longfellow Pitcher for Preservation of Beauty award. The club received the award at the Garden Club Federation of Maine’s annual convention on June 21. Starting in the spring of 2015, members of the garden club worked with Historic New England to research appropriate plantings, design plans for the layout of the garden beds, order perennials, and raise annuals from seed. The project included pruning old climbing roses and planting foxgloves, peonies, delphinium, lilies, and phlox. “I’m so impressed with their creative ideas and hard work,” says Historic New England Preservation Manager D. Shawn Beckwith. 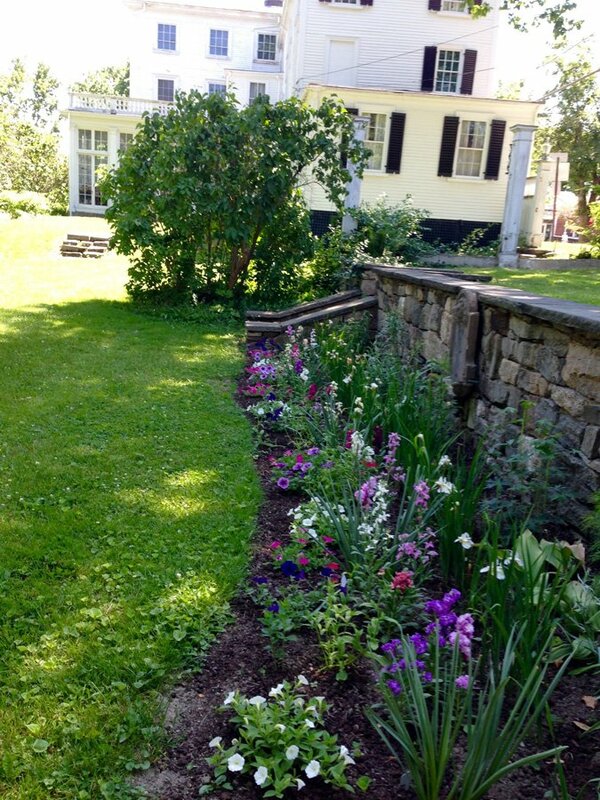 “The garden beds at Nickels-Sortwell House even hold some plants from members’ gardens.” Congratulations and thank you to the Garden Club of Wiscasset! Stop by and see the award-winning gardens. Nickels-Sortwell House is open for tours on Fridays through Sundays from 11:00 a.m. to 4:00 p.m. Plan your visit.